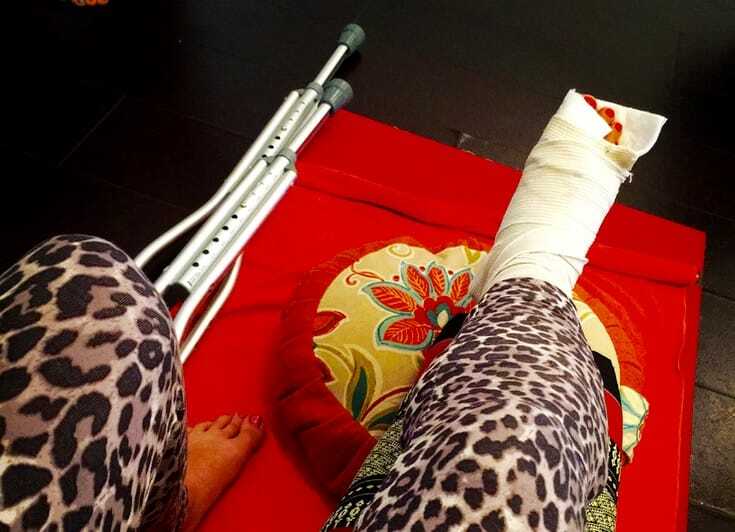 When a car drove over her foot, Carla Beharry felt like her anger would never end. Her journey of healing taught her that the only way out of suffering is through it. Photos courtesy of Carla Beharry. I was getting into the backseat of her car. As I stepped my left leg into her SUV, she started driving. She knocked me down and drove over my foot, completely crushing it and shattering all of my metatarsal bones. Through my tears and pain, I asked for an ambulance, but the driver didn’t call one, nor did she call the police or the insurance company. We drove to the hospital. 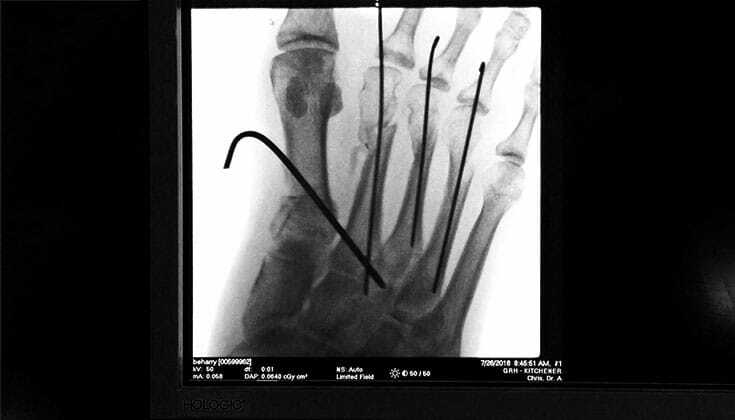 After three hours of morphine, the doctors told me they needed to do emergency surgery to reset the bones in my foot. I went into surgery alone, and scared, while the driver left for lunch. I had a severe allergic reaction to the anesthetic. The last thing I remember is clutching my throat and telling the doctor I couldn’t breathe, then falling into a series of terrifying hallucinations. I woke up surrounded by ER staff, with a nurse rubbing my head. She told me that I had stopped breathing for over a minute. Where do we go during these moments of trauma, and those that follow? What do we do when the people on whom we depend let us down? How do we begin to contemplate forgiveness? My emotions were long and strong: anger, rage and resentment toward my teacher; sadness and loneliness in the hospital; grief at the loss of my physical ability. There is only one way to go with those emotions: through. We have to spend the time and the effort and the energy to stumble through the murky waters of suffering. 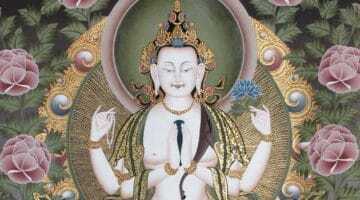 Buddhist practice teaches that our continued suffering is directly related to our rejection of the present moment. Our resistance to settle into life creates a world of suffering. As I laid in the hospital, I knew that if I wanted to find true freedom, I had to focus intently on my experience of the present moment. These three practices would help me move through the emotional experience of my physical trauma. Tonglen is a practice of giving and receiving. It moves us from pushing pain aside to inviting it in. We invite anger and sadness into our space as a means to connect with each and every person also experiencing painful emotions. With each inhale, we imagine a friend or a stranger experiencing sadness. We breathe in, for both of us. With each exhale, we breathe out compassion for ourselves and for others in need. Tonglen can feel challenging, until we realize that we are not alone. We practice to connect with others who are also suffering, and to remember that we are all interconnected. See also: Pema Chödrön’s fundamental teaching on tonglen. Gratitude is easy when life is happily flowing along. The real work is maintaining gratitude in the midst of deep suffering. 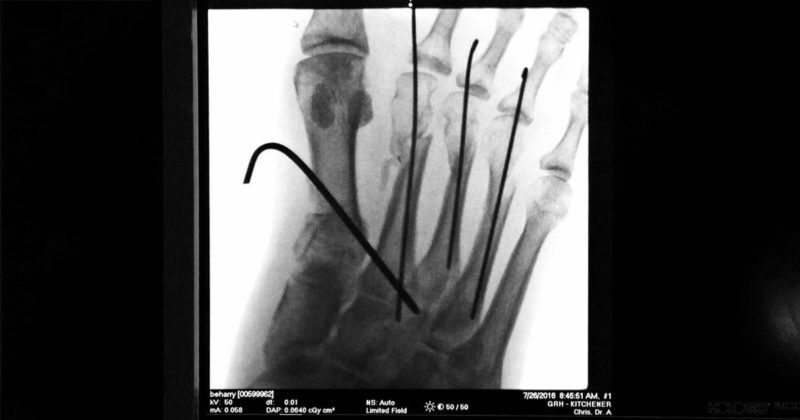 I had many moments of lying in bed with metal pins sticking out of my foot, feeling sorry for myself, crying in pain. Then I would look up to see my family and friends by my side, gently gazing at me with kindness in their eyes. I realized that gratitude is the path. If we muster nothing other than gratitude in moments of deep pain, it is enough. In the midst of trauma, try writing down one sentence per day about one person you are grateful for. This practice starts to break down the walls around your heart. If one person doesn’t come to mind, then start with one image, one scent, one landscape, or one animal. Gratitude creates a heart-connection. It reminds us that we are alive, here on this earth, and that that is a blessing. 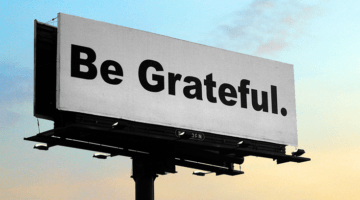 In the days after surgery, when I was confined to bed, I started a list of things to be grateful for. I still have it going. Some days I have many things to add, and some days, my mind feels so overtaken by grief that I don’t add anything. On those days, I simply commit to reading over my list. During moments of intense pain, I say to myself, “With each inhale, I’m grateful for the support of my family. With each exhale, I am blessed.” Sit with your chosen words, and focus on the movements of your heart. Each inhale represents an expansion. With each exhale, we overcome. There were days where I wouldn’t allow myself to feel grateful. My thinking mind, basking in victimhood, would gain strength as I recalled all the terror I had felt. Some days, gratitude was barely a glimpse, like a match burning in a dark theater. But that spark matters. If you can squint your eyes and barely see the light, start there. If you spark the match, your capacity for finding your own light in midst of darkness can grow like a fire. See also: Sylvia Boorstein on the power of gratitude. The indifference and apathy of the women who drove over my foot has been traumatizing in itself. I realized after this trauma that I have a choice: either I can pass along the same disconnect and withdrawal that was shown to me, or I can commit to deepening my understanding of the human condition. The definition of empathy is to feel how someone else feels. I knew, even in the midst of excruciating pain, that I had gained the benefit of real-life understanding of the depth of physical pain that others before me have felt. Active empathy is a skill that we can nurture. In our moments of pain and suffering, we can shift our attention from cycling back through our traumas to opening up to others in the present. If we can challenge ourselves to really hear someone’s words and feel their pain, we can help them with their burdens. This is where we can go in moments of trauma, and this is where we can choose to arrive in the moments that follow. It’s not a direct path. It’s a rocky road to navigate. But it is necessary if we want to move beyond survival to genuine happiness. For me, these practices were my path. In the space between family love and world-class medical care existed a pain that was mine to reconcile. I knew I could suppress that pain, crippling my own mind and heart. Instead, my suffering became an opportunity to devote myself to the love and empathy that I wished to receive. Carla is a devoted practitioner & teacher of mindfulness, meditation, yoga, and pranayama breath work. She passionately works both in Canada and the Caribbean, where she facilitates women’s empowerment workshops. Find her at infiniteoceans.com for training and support in rebuilding after trauma.